Note: All SMS are sent from a generic SMS number, which may change from time to time for fallback or redundancy purposes. 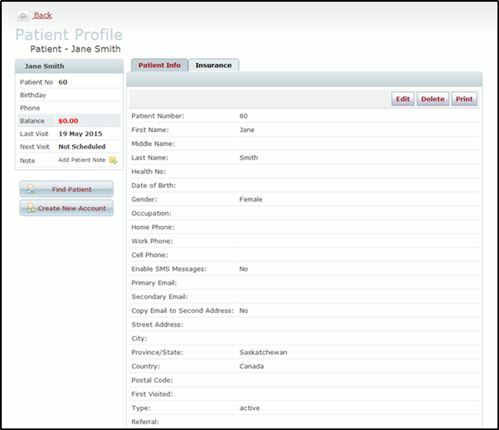 For the convenience of your patients, automatic system messages such as appointment confirmations and reminders can also be sent by SMS / Text, delivering a short text message to the cell phone number in your patient’s profile. To receive these messages, patients must first have the function enabled on their profile. Once enabled, SMS / Text messages are delivered to the cell phone listed in the “Cell Phone” field on the client profile. To disable SMS / Text messaging for a client, follow the steps above and at #4 simply remove the check box. You can leave the cell number in place, no SMS will be delivered when the feature has been disabled. Note: To take advantage of this function, you must first enable SMS messaging for your practice. You can find a tutorial on how to do that here.